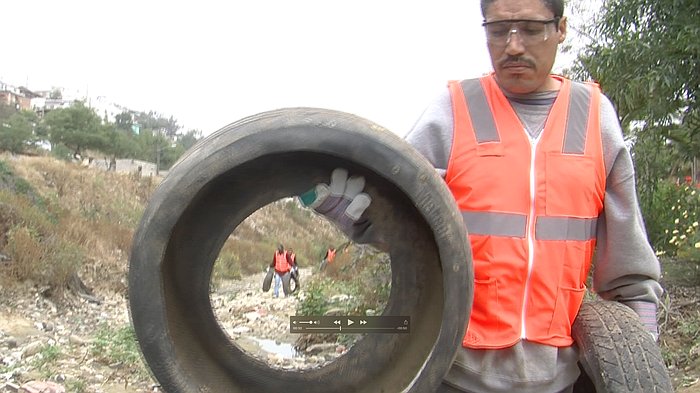 KPBS 12 may 2016: "Every year, environmentalists rush to clean uphundreds of discarded tires that flow into southern San Diego County from Mexico through the Tijuana River. But whenever it rains, the tires pile up again. A new binational collaboration led by the organization Wildcoast aims to stop the tires from washing into the U.S. The pilot program, which launched Thursday, aims to collect and shred up to 100,000 tires in Tijuana. The tires will be sold for reuse by a Mexican commodities company. The initiative brings together government officials, business leaders and environmentalists from both sides of the..." read on.